Protect the integrity of your beautiful floor coverings with expert rug cleaning and repair services from our company in Memphis, Tennessee. At J. Remmers Quality Rug Cleaners, we offer specialty rug cleaning and we hand clean all fine textiles and Oriental rugs. In addition, we offer rug repair and restoration services and ensure your rug is returned to you in perfect condition. J. Remmers Quality Rug Cleaners is known for providing personalized service and top-notch cleaning for your most delicate and treasured rugs. Our stain removal and corrective cleaning transform the look of old, worn rugs into beautiful, like-new floor coverings instantly. Choose J. Remmers Quality Rug Cleaners for all of your rug cleaning and repair services and discover the difference we can make in the style of your home. J. Remmers Quality Rug Cleaners is backed by more than 40 years of experience in providing quality rug cleaning services and our family company guarantees your satisfaction. Our team of professionals is detail oriented and offers flawless cleaning services every time. We strive to provide you the best in customer service and cleaning, and we always treat you like family. 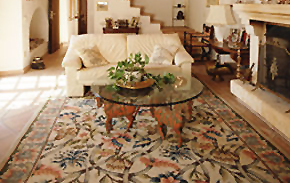 Contact us today at (866) 780-7667 for information regarding our rug cleaning services.